With so many options for audio recording software out there, it’s hard to know which to choose. We’ve picked four of our favourites to help you decide. Audio recording software has many applications, ranging from the creation of new and adapted music or the collection of songs, through to the preparation of audio materials for education, presentations, and distribution, and onto the engineering of soundtracks for various purposes. In this article, we’ve assembled four of the best in audio recording software. We’ll compare them in terms of their performance, feature sets, pricing models, and usability. All the applications described in this article have free versions, available to download right here at FileHippo. We’ll begin by considering some of the criteria that you should bear in mind before making your final choice. Audio recording software or a digital audio workstation (DAW) includes tools for recording, editing, mixing, and mastering sounds. Audio input is typically available from a number of sources including dedicated hardware, recognised audio file formats, and streaming media. Output should also be available in a selection of file formats, with tools for optimising the finished product. All of this is accomplished on a digital software platform with no moving parts, or expensive equipment to maintain. So, with the right choice of product, audio recording software can give professional-level results, without the need to invest in costly (and these days, largely old school) recording and mixing hardware. For both entry-level users of audio recording software and seasoned professionals, ease of use and familiarity with the tools and layout of a digital audio workstation are key to getting the most out of it. Most audio recording software (including all the packages we’ll describe here) have a free trial version that can be used to get a feel of how the application works – and how compatible it is with the way that you work. These trials are typically time-limited, but may include the full functionality of the paid or “professional” version of the software. There’s a lot of top-notch audio recording software out there that does professional sound manipulation for a reasonable price. So you shouldn’t have to break the bank in order to get what you want. If you need audio recording software for a specific purpose (such as creating a presentation, or building a training course), you should first establish which kinds of sounds that you’ll be working with, and what it is that you require the software to do. This will give you some idea of the “must have” features of the package, and an indication of the kind of price range that’s involved. Beyond the free trials, you can draw on other resources to help in your assessment. Audio recording software websites will typically host tutorials, Frequently Asked Questions (FAQs), troubleshooting tips, and user forums. With those considerations in mind, let’s look at four brilliant pieces of audio recording software featured here at FileHippo – starting with this handy comparison table. Apowersoft Streaming Audio Recorder describes itself as “the one-stop solution” for recording streaming audio from music sites, video platforms and radio stations, or for capturing sound from audio chats. Besides extracting audio from streaming channels, the software enables you to record audio from your computer’s sound card and microphone – or both at once, if required. You can do online searches for your favourite tunes, download them, and edit the audio files. Apowersoft Streaming Audio Recorder allows you to save and convert audio into popular file formats like MP3, WAV, WMA, OGG, AAC, and FLAC. Audio recording from your computer’s sound card and microphone. Converting audio files to many popular formats. Automatic identification of ID3 tags, like title, album, year, genre, artist and cover artwork – with batch identification capability. Conversion of audio to device-compatible formats like iPhone ring-tone, lossless audio, iTunes, QuickTime, and iPod. Streaming Audio Recorder, for ripping, cutting, and splicing audio tracks. Built-in MP3 search engine, for locating audio on the web. Editing tools to cut, copy, paste, merge, mix and add special effects. Apowersoft Streaming Audio Recorder has a simple and intuitive user interface, and a lightweight installation. A standard package of Apowersoft Streaming Audio Recorder costs $39.95 per year, but as part of the ongoing Apowersoft Premium promotion, the software can be included as part of a suite of Apowersoft applications for considerably less (currently around $59.95 per year, for the complete range of Apowersoft products). SoundTap Streaming Audio Recorder comes from the NCH Software stable, a brand that specialises in small but very powerful freeware and shareware utilities for media management and editing. Its target consumers are people who deal with audio and video applications on a daily basis, and this audio recording software will convert to MP3 or WAV files virtually any audio that plays through your Windows or Mac computer (there’s a version for Mac OS X 10.5 or above). SoundTap Streaming Audio Recorder uses a special kernel driver housed in your sound hardware to capture and preserve the digital quality of audio passing through your computer system. This happens independent of your speaker volume, or whether or not you’re wearing headphones. Because of this, it’s possible to use SoundTap Streaming Audio Recorder to record internet radio webcasts (great for radio stations that are required to log and archive their output), streaming audio conferences, and VoIP (Voice over Internet Protocol) phone calls made using systems like Skype. Files are saved principally to MP3 or WAV, but there’s a choice of codecs and compression options. Output may be passed for editing directly to the WavePad Sound Editor Software (one of NCH Software’s flagship products), or to the Switch Audio File Converter (another NCH Software product) for conversion from MP3 to over 20 different file formats. Direct digital recording of audio played on your computer, without loss of quality. Virtual kernel driver for recording independent of the sound environment. A wide range of selected codec and compression options for saving MP3 and WAV files. Options to record and mix microphone input to capture both sides of a VoIP or conference call. Options to listen as you record, and to record directly to the VRS Recording System of an enterprise database system. Support for all popular media players, including Windows Media Player, Real Audio, and QuickTime. Support for VoIP softphone systems like Skype and Express Talk. Direct links to NCH Software’s WavePad Sound Editor Software and Switch MP3 File Converter Software. As we’ve noted, SoundTap Streaming Audio Recorder has a small installation package – a feature common to the other products in the NCH software stable. Clean interfaces and ease of use are also characteristic of this brand, and SoundTap Streaming Audio Recorder is no exception. If you’re one of those people who doesn’t like having their internet connection hijacked by presumptuous software, then be warned: NCH Software products (especially the free ones) do this a lot. They’ll open up a browser window to the product website immediately after you install, or close the program for the first time. And they’ll also open automatic connections to download things like additional codecs, or auxiliary tools and filters. SoundTap Streaming Audio Recorder is free for non-commercial use, but there are paid options available. A single installation license for SoundTap Stream Recorder Professional normally costs $49, but discounts are often available. The audio recording software incorporates a real-time digital mechanism which records any audio source that’s automatically detected on your computer. Sounds from internal sources (such as your sound card or microphone) and external audio from over 500 popular radio stations and online music sites like Spotify, BBC Radio, YouTube, Pandora, and iTunes Radio may be recorded without losses in quality. Gilisoft Audio Recorder Pro can even schedule recording tasks via its auto record function, which lets you configure the starting and stopping times of your chosen session (at specific times, or at daily or weekly intervals), then step away as the software does the recording for you. You can also set parameters for auto recording such as file size and recording length. Direct recording of audio to MP3, WMA, or WAV. Simultaneous recording of microphone and computer sounds. Pre-defined audio recording qualities, and configurable recording parameters. Built-in timer and automatic scheduling of recordings. Silence detection mode with automatic suspension of recording when there’s no sound, and with voice reactivation. Ability to pre-set and preview your sound recording device before recording. Real-time digital audio recorder for internet streaming audio and VoIP applications like Skype and Google Talk. With its handy pre-set functions, great sound quality, and intuitive interface, Gilisoft Audio Recorder Pro is powerful and easy to use audio recording software. 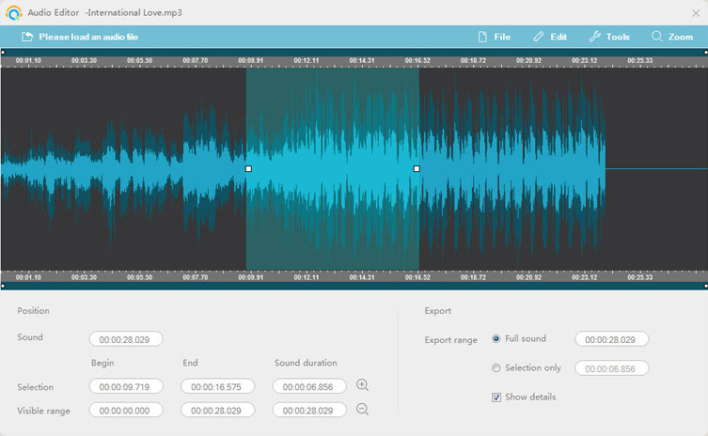 Gilisoft Audio Recorder Pro offers a range of paid plans, starting with a single system one-year license for $24.95 (reduced from the usual price of $34.95), then a lifetime PC license for $34.95 (reduced from the usual price of $44.95), and a lifetime license for three computers at $54.95 (reduced from the usual price of $134.95). All of these plans include free updates and technical support. SOUND FORGE Pro 12 is a highly customisable audio recording software program with industry standard audio processing features. These include multi-channel recording, an intuitive work-flow, extremely powerful editing features, and an array of mastering plug-ins. Its latest version offers one-touch recording, metering for the new critical standards, more repair and restoration tools, and exclusive round-trip interoperability with SpectraLayers Pro. SOUND FORGE Pro provides audio recording software that’s able to record up to 32 simultaneous channels of 64-bit/192 kHz audio. Its editing suite provides a wide range of tools for adding effects and modifying tracks. The software includes full integration DAO CD mastering, and the ability to generate Red Book compliant masters for duplication, perform PQ code editing, add CD text and metadata, and prepare high resolution audio tracks with iZotope re-sampling technology. An overview bar for audio waveforms. Multi-channel file editing and processing. SOUND FORGE Pro supports multiple video and audio formats, and offers a massive selection of free HD sound effects. All of this is presented in a state-of-the-art user interface that rightly boasts industry standard audio editing functionality. The paid version of SOUND FORGE Pro 12 costs €399,00 for a lifetime license, or pay monthly from £11.99/month with a Sound Forge Pro 365 subscription. Whether you’re a music industry professional, business person, educator putting together audio materials for presentation, or simply a sound enthusiast, you’ll find brilliant audio recording software and a host of other applications to download for free right here at FileHippo.